Everyone loves a feel-good story about alcoholic beverages being beneficial to your health. Such studies seem to be everywhere, and they seem to largely be conducted on rats. Beer tends to get the short end of the stick, though, while people rave about red wine. Prepare for that to change. Choices Magazine, a publication from the Agricultural and Applied Economics Association, is giving beer a healthy dose of attention. The paper pulls together a bunch of studies on beer and health to cumulate data in hopes of helping advise governmental recommendations on beer consumption. What Choices concluded about moderate drinking is encouraging to say the least. Beer has protective effects when it comes to cardiovascular disease, type-2 diabetes, cancer, and other life-ending issues. Much of this is due to xanthohumol, a flavonoid in hops that inhibits cancer growth on a cellular level. Another big find came from a study on German men (known to be heavy beer drinkers). That study found that drinking alcohol, mostly beer, was associated with a lower rate of coronary heart disease. Probably one of the paper’s most counterintuitive findings was the correlation with weight gain. There was an inverse relationship between beer drinking and weight gain among women over an eight-year period. The study looked at nearly 110,000 women between the ages of 25 and 42 to see the effects drinking had on incidences of type-2 diabetes. It did, and the researchers also found that weight gain part out, too. So much for the infamous beer belly. 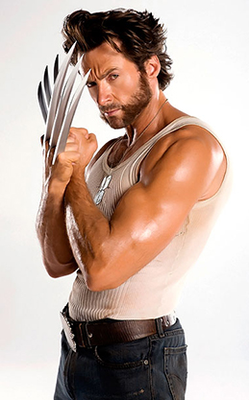 Additionally, drinking hops and yeast in beer “have been shown to impart skin health and even hasten the healing process of wounds.” I’m not saying that beer can make you turn into Wolverine, but it can certainly make you feel like him. The full paper is worth a read over a pint. Maybe even two? Early next year, a new brewery will open in Wilmington, North Carolina. That in itself is not surprising. What is surprising is that the brewery will employ around 60 gang members. Called Tru Colors, the brewery is an attempt to reduce gang violence in the city by providing gainful, well-paying jobs for people. It’s the brainchild of George Taylor, an entrepreneur, app developer, and possessor of a last name that could also be a first name. “We’ve had a lot of gang meetings over here over the past year,” Taylor told the Wilmington Business Journal about his home base in the offices of the beer ranking app Untappd, which Taylor is the chairman of. In addition to the brewery, Tru Colors will have a taproom, gym, daycare center, and recording studio. The business has a minimum salary of $40,000 plus benefits to make sure the active gang members can build a life. In other words, it’s more than a job for the workers, it’s help getting back on the right track through beer. “Beer Beats Gangs,” is how a headline would have read back in the heydays of newspapers. Hopefully sometime next year I can write a similar headline for a story about Tru Colors’ success. Lolo Peak Brewery in Montana is recycling its carbon dioxide, an eco-friendly initiative that I never knew was possible. The recycling program is run by COBrew (get it?). COBrew invented the technology and perfected it at Lolo Peak. It allows breweries to cut emissions and stop spending money on CO2 for carbonation. COBrew captures the CO2 that naturally floats off fermenting beer, filters it, and then stores it to be used later for carbonation and pressurizing kegs.